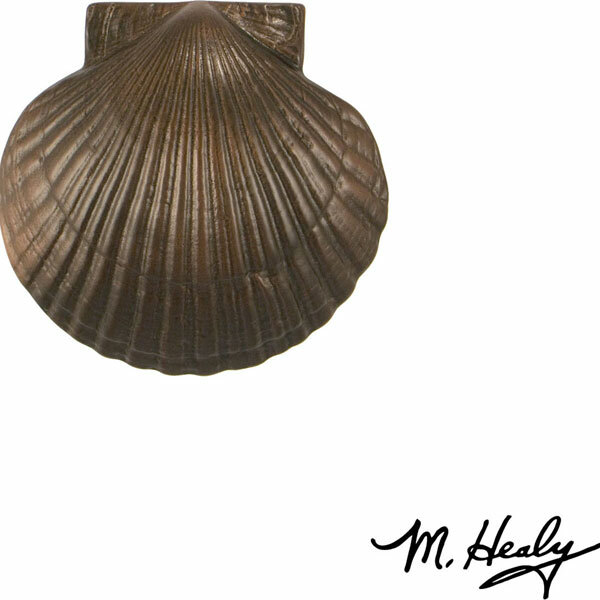 The Best Seller Bay Scallop was designed by Michael Healy, an accomplished Rhode Island artisan known for his truly Unique Door Knockers. The Bay Scallop is a great way to display your love for the water. This Bay Scallop has been scaled down from Michael’s original Door Knocker to create a trendy gift item. It comes in Michael Healy’s stylish gift packaging perfect for everyone. All Michael Healy Door Knockers and Doorbell Ringers are cast in Solid Brass, Bronze, or Nickel Silver. Occasionally, a combination of these metals is used to add highlights and depth to a particular design. Michael's original Door Knockers were cast in solid brass and bronze. In response to the expansion of both antique and contemporary finishes used in door hardware, the line was recently expanded to include Oiled Bronze and Nickel Silver designs. Each Door Knocker receives a baked polyurethane coating or a statuary lacquer before leaving production. Similar to the protective finish used on cars, these coatings provide a shield against the elements. All of the alloys used by Michael Healy are ideal for outdoor use, allowing you to base your selection on personal preference alone.